Women's Personal Safety trainings offered by Seattle Police Dept. 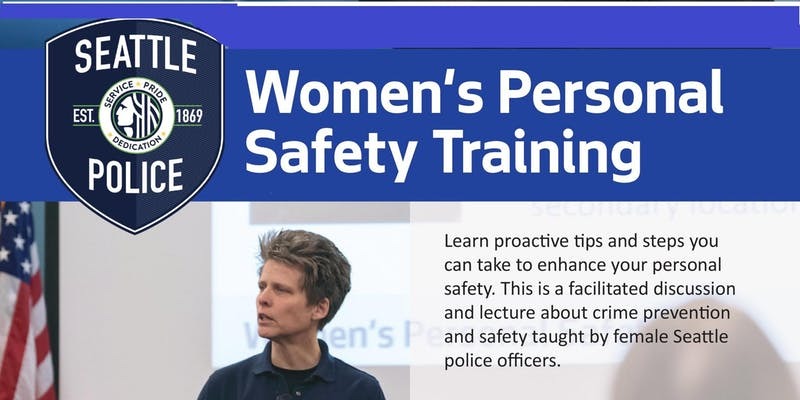 The Seattle Police Department is offering two Women's Personal Safety trainings at the SW Precinct (2300 SW Webster) in the next month. Learn proactive tips and steps you can take to enhance your personal safety. This is a facilitated discussion and lecture about crime prevention and safety taught by female Seattle police officers. Please note: this is not a self-defense course. Space is limited- please register today using these links.